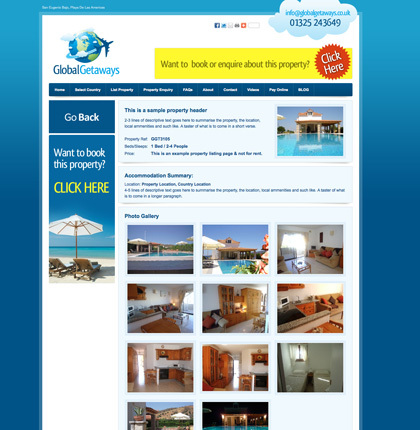 Due to high demand we require high quality villas, apartments and cottages worldwide to present on our web site. We would give you a full page advertisement to display your property with a comprehensive description and approximately ten to fifteen photographs and also include a direct link to your own website, so you are in full control of your bookings. To advertise your property with us simply email us with the below details and we will contact you as soon as possible.